You will be the envy of all your friends when you use this monogrammed wood tray at your next dinner party. The tray is hand crafted from one solid piece of acacia hardwood, and can be laser engraved with your monogram to create a unique piece that will be a favorite for years to come. Curlz engraving shown. 10.5" x 7.25". Not dishwasher safe. Because this tray is made from a natural product, colors will vary. Unbelievably exquisite. 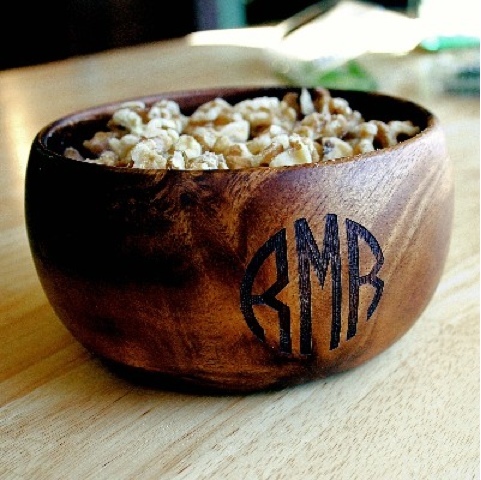 This round monogrammed wood calabash bowl was hand crafted from one solid piece of acacia hardwood. 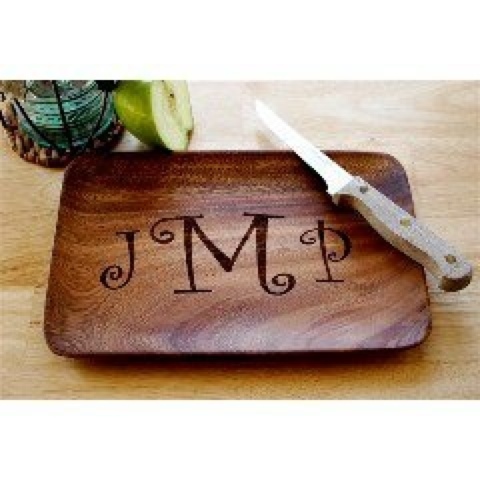 Have it laser engraved with your monogram to create a unique serving piece that will have everyone at your next dinner party asking how they can get their own. Round engraving shown. 6" x 3". Not dishwasher safe. Because this bowl is made from a natural product, colors will vary. $36 free shipping! !